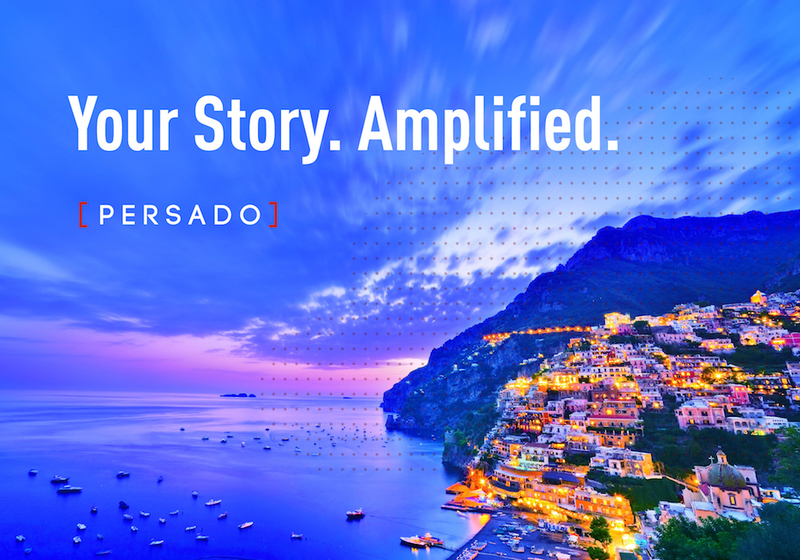 Persado has long been known for driving results for customers that look too good to be true — 40 billion impressions, a peak response lift of 701%. But we have the data to prove it, much like how we provide the world’s top and emerging brands with the insights they need to craft the most engaging content. What people who have followed our revolutionary trajectory may not know is that we also aim to help brands maintain a consistent voice across channels. As of today, the cat is out of the bag. We unveiled our breakthrough application of Narrative Intelligence — the ability to build and tell stories using genuine, natural language — as the most sophisticated update to our platform since launching in 2012. The upgrade will help brands speak in unified, authentic voices across channels while still achieving the customer engagement Persado is known for delivering. Persado Vice President of Innovation Alex Protopapas, who played a key role in researching and executing the launch of Narrative Intelligence, sat down with me to discuss the evolution and what it means for marketers. Persado: Why is this an important evolution for Persado? Alex Protopapas: In short, because it allows us to — more confidently than ever before — generate content that may be AI-generated but still sounds and feels like a human wrote it. The slightly more technical answer would be that Narrative Intelligence — and this whole notion of "language as a story" — provides us with the right framework to expand our entire content intelligence platform and train algorithms to produce content that’s not just relevant but super sophisticated, fresh and creative. AP: Two words: brand voice. When it comes to our language database, we’re always in research mode, but this particular exploration of narratives was based on a very concentrated effort to make our content sound less like "machine output" and more “brand-smart,” so to speak. Making informed decisions based on data is one thing. Training an algorithm to understand the voice of a particular brand, the themes, the nuances and the particularities that define it is a whole different story, no pun intended. Narratives are our way of making that deep brand-voice understanding part of our technology in a holistic way and at scale. We don’t produce content that’s going to perform well and then filter it to fit within brand guidelines — we *start* from the brand and the stories our customers want to tell and then use performance data to get to the most effective way to tell those stories. Persado: What went into this new evolution behind the scenes? What content and literature did you look at? AP: When we kicked off the research, we wanted to essentially forget what we knew, or what we thought we knew about how marketing language works, and essentially start from scratch. If machine output sounds “not human,” what does “human” mean? To answer that, with this tabula-rasa sort of mindset, we focused on fashion luxury brands — because when it comes to brand voice and identity, that’s as specific and tailored as it gets. We looked at more than 300 fashion brands and the content they use for their emails and their entire web presence, their social media, even their television commercials. We even manually transcribed all of the copy from the ads in the September issue of Vogue because all of the fashion retailers on Earth advertise there and we wanted data from multiple different sources and in many different contexts. Persado: What did you do with all that information? AP:While analyzing that data, at some point it became clear that by treating brand voice as just a piece of technical, contextual information, we were missing that very human understanding of a cohesive narrative as the connective tissue of all the words and the images, everything that a brand uses to present and promote itself. And that’s when we essentially started reconstructing our language database based on this idea of language as a story — while digging into the fascinating existing research around Narrative Intelligence as the crossover between computational linguistics and literature. Persado: Why is it important to allow brands to have their narrative? AP: Brands already know that that’s important — Narrative Intelligence is technology’s way of not just meeting them halfway but meeting them exactly where they’re at. In our world, it’s important to allow brands to essentially customize our technology so that they get the most out of it. We have our own language organization, and it’s very detailed and expansive. But by allowing our customers to essentially tell us what their own narratives are, on the brand level, on the product level, on any level really, it’s like rewriting the code for each and every one of them. So you don’t just get awesome performance and insights, but you achieve that with content that fits within your larger brand-voice puzzle perfectly, like the piece you were always missing. Can you explain the four dimensions? when you want to say it (calendar narratives). Depending on the technical context and the specificities of the campaign one could be more relevant than the other. For example, a TV commercial would be more brand-narrative-driven while with a Black Friday email announcement, calendar & campaign narratives would be more relevant. But our overall goal with this four-dimension design is to train algorithms that always take all the relevant stories into account. To read Persado's announcement, click here.